MWC is here and that means we should get a new wave of Android Wear devices over the coming weeks that tempt us into parting ways with hundreds of dollars for the honor of being attached at the wrist level to our phones. Ahhh, the future. Before we get there, though, we wanted to wrap-up our coverage of the first two Android Wear 2.0 devices that LG and Google introduced to us a couple of weeks ago, the Watch Sport and Watch Style. 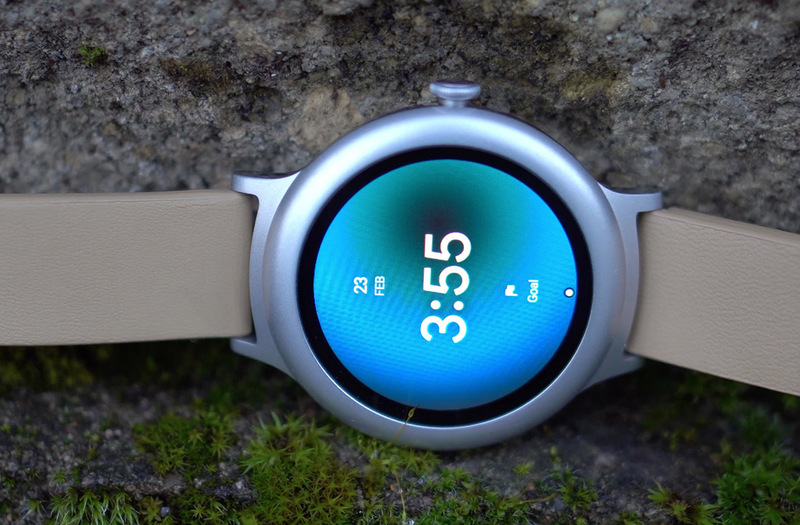 Tim has already posted his review of the LG Watch Sport, so be sure to check that out. Today, I’ve got the LG Watch Style review for you, a watch that is certainly on the cheaper end when compared to the Watch Sport, but supposedly equally as important. To recap, the Watch Style starts at $249, features Android Wear 2.0, and has typical smartwatch specs, like a 1.2-inch POLED circular display, 512MB RAM, Snapdragon Wear 2100 processor, 240mAh battery, and interchangeable 18mm strap. It also features a rotating side button (or crown), charges wirelessly on a little pad, should fit nicely on most wrists with its 42mm case that is just over 10mm thick. Below, you’ll find our full video review of the Watch Style and that verdict over whether or not you should buy one. For those who don’t want to spend the next 7 minutes of their life with me, basking in the sun in a Portland park, panning and touching and spinning and caressing a smartwatch on video, let’s just dive into the bottom line. Should you buy the LG Watch Style? Eh, probably not. Now, that doesn’t mean this isn’t a good smartwatch, because it actually is. It’s simple, yet unoffensive looking, for one. It’s also an incredible size for a smartwatch and lays very well on the wrist. It has interchangeable bands and pretty decent battery life, unlike the Watch Sport. It’s as smooth in the software department as any watch I’ve ever used too. Unfortunately, at $250, this watch is missing some pretty key features that may turn a number of you off, especially if you already own a smartwatch. On one hand, it doesn’t include NFC, so this won’t be a watch you’ll ever be able to make payments with. On the other, you won’t find any of the connectivity bonuses you see on the Watch Sport, like GPS or LTE, which means this is a WiFi only device that will mostly need to be paired to your phone. In the end, the Watch Style is just any other Android Wear watch that doesn’t really do anything special or new, but it also lacks NFC, leaving it without a portal into the future. There are other watches coming, maybe within the next couple of days. Your best bet is wait and see who can top this. My guess is that most will.